I attended the Belgium System Center day today and saw some interesting stuff concerning Service Manager! Not only can change management be automated with workflows without using Opalis, there is also an authoring tool which allows you to add custom workflows using a Visual Studio-like GUI. To add the cherry on top, a custom tool called ‘PowerWF’ (link) was presented showing how powershell cmdlet’s can be combined in a single powerful solution or management pack using, again, a workflow designer. This very much resembled Opalis, with the main difference being the restriction to powershell and Windows Workflow Foundation-functions. Will Opalis eventually be broken up in WWF and be used to improve the current automation options in the SC-products? Will Opalis become a flexible backbone for these features, extending the current functionality? Will Opalis become the master-controller which will completely take over any existing automation? Will guidelines be released defining best practices regarding automation and which product to use? These four variations go through my mind when I think of a way to create a synergy between Opalis and the existing systems. I don’t see Microsoft buying Opalis to end up with scrapping it immediately, but at this point there are some ambiguaties between existing automation functions and those that Opalis will add. Wether these will be solved by creating guidelines on how to achieve certain levels of automation or by making a change to the products themselves is something we’ll have to see for ourselves in the (hopefully) near future. Thanks for the nice mention. I’m work for PowerWF, and if possible I would love to get a chance to give you some more insights PowerWF. 1) PowerWF requires .NET 3.51 SP1, not .NET 4.0. 2) PowerWF is not limited to use PowerShell commands. It also has support for native windows workflow activites. Thus, you can use Visual Studio to build an Activity and use it within PowerWF. The SCSM native activities will not work, due to some of the class inheritance that MS used. However, all of our workflows can be turned into SCSM activities; which allows you to extend MS Authoring with PowerWF. 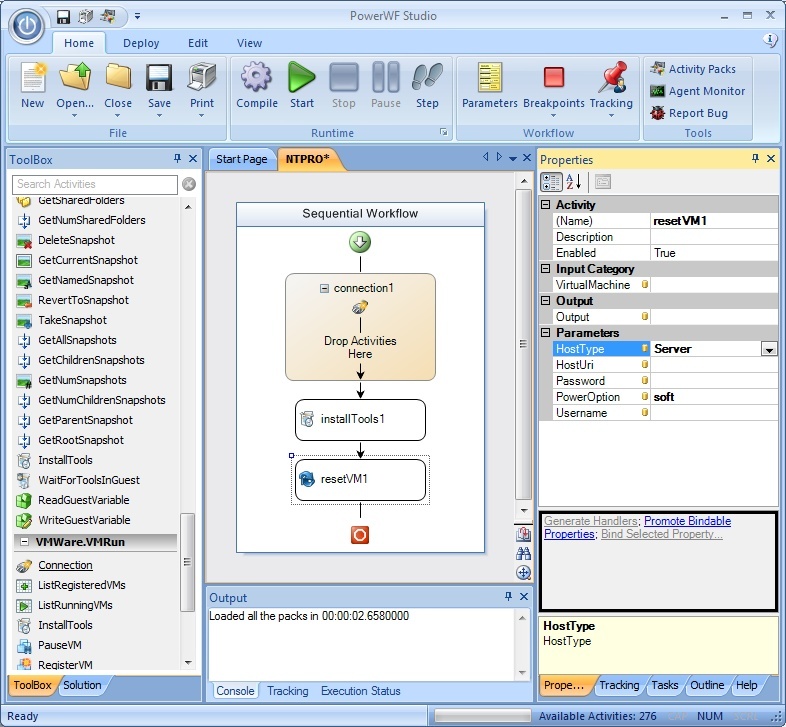 3) In addition, PowerWF can actually turn any workflow into a activites. Thus, it can be used to extend itself. 4) As for Opalis integration. Since PowerWF supports converting any workflow into PowerShell snap-in/module. And Opalis support PowerShell. Thus, you can use PowerWF to extend Opalis. Preservering your investment in either technology. Anyway, there is so much more. I would be happy to do a Q&A anytime. Opps… forgot to subscribe to comments in this thread. Doing that now. Sorry. Thank you for taking the time to read my article! I reffered to the current WWF version when I talked about .NET 4.0, but I’ll alter my article to make this more clear. Like you said, PowerWF is a great authoring tool to support System Center among others and the synergy it can have with Opalis is especially interesting. I hope I can find some time to play around with your application, and I’ll let you know when questions arise. I am the Technical Product Manager for Opalis. Just to clarify a few things. We have been, and will continue to provide guidance and information about how you can leverage the System Center suite to maximum benefit. This includes showcasing how the products work in isolation, but more importantly how they provide exceptional capabilities when used together. There is an element of crossover between several of the existing solutions, however we are working towards a consistent experience and providing a deep and rich set of integration, automation and orchestration capabilities. I can assure you that Opalis will remain in the System Center 2012 set of solutions and we are currently scheduled to ship vNext of Opalis in H2 CY2011. Thank you Adam for bringing clarity to the matter! I saw the webcast you posted and read your blogpost about SCSM’s relation to Opalis. The division of responsibilities you described between those products is very clear and resembles the manager-engineer situation on the workfloor. Thinking of Opalis and SCSM in this way makes the synergy much more apparent!